Mridula Baljekar is a prolific Indian food writer based in the United Kingdom. 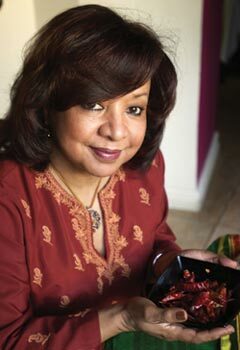 She has written 25 books, averaging more than one book a year, related to Indian and South East Asian cuisine (July 2009). Her first book 'Complete Indian Cookbook' was published in 1990 and sold nearly a million copies worldwide.